IndyCar's first season with its universal aerokit proved to be a huge success, with vastly more entertaining races and a title fight that went down to the wire. But who made the biggest impression at the start of the series' new era? If ever a year could demonstrate the quality of the IndyCar field, it was 2018. Shorn of downforce 'band-aids' in the new aerokit era, and welcoming an influx of new drivers and teams that led to a stronger grid, the series fulfilled Roger Penske's prediction that the cream would rise to the top. 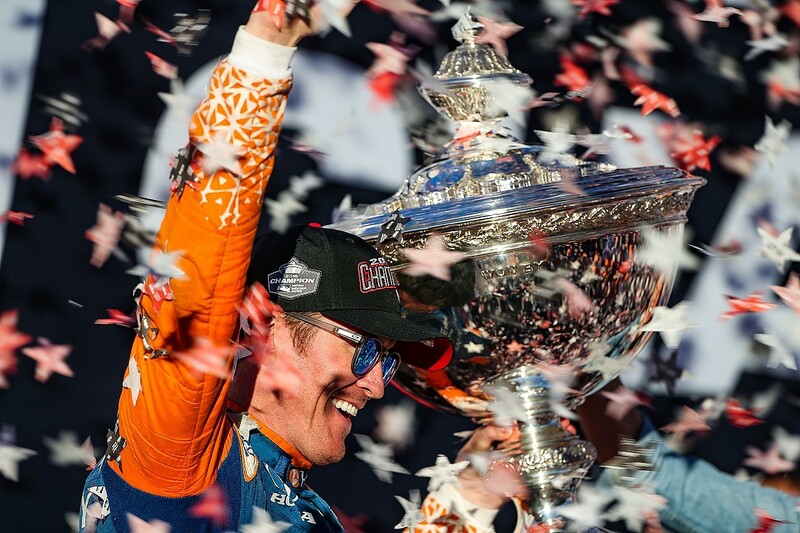 Chip Ganassi Racing's Scott Dixon won his fifth IndyCar title and deservedly elevated himself into the realm of the series' legends, but the double-points finale belies the closeness of the title fight between Dixon, Alexander Rossi and Penske duo Will Power and Josef Newgarden. The quartet won just three out of 17 races each, while the other five victories were split between four drivers, perfectly demonstrating the knife edge upon which IndyCar success was balanced. Picking the star performers, then, is no easy feat with such fine margins. 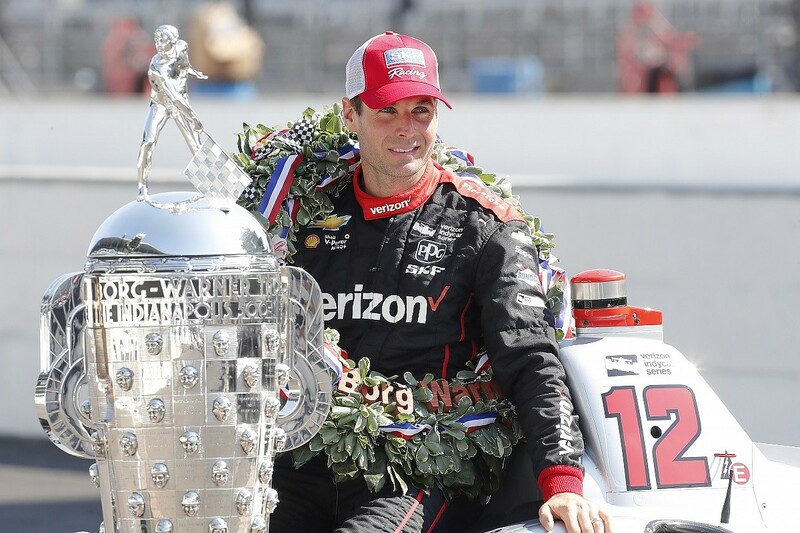 The only real consolation for the 2016 IndyCar champion is that towards the end of the season he and his Penske team had a breakthrough that helped him perform more strongly. That was a decent save in a season in which there was speculation he could be replaced by Robert Wickens, a driver Penske coveted. Although the team maintains such talk was "unfounded", it gives a measure of the struggles Pagenaud had. He was the only Penske driver unable to gel with the new IndyCar aerokit, but was still able to perform decently on ovals while struggling on road courses - as many others did. In the Detroit weekend, Pagenaud began a run of 10 consecutive top 10 finishes that stretched through to the end of the season, managing second in Toronto as the leading contenders suffered misfortune before grabbing another podium at Texas. That's the momentum he has to carry into 2019, as you would expect that a repeat year would not go down well with Penske. 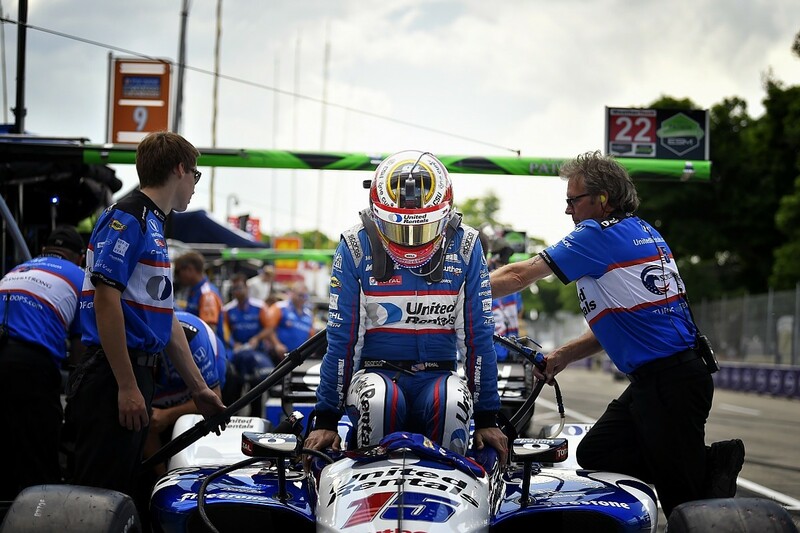 Rahal may not have won a race like team-mate Takuma Sato, but he was far more consistent during the campaign - classified ahead of Sato in 12 of the 17 races. But there were no repeats of events such as his Detroit winning double last year, even with the much-needed support of an experienced team-mate. Second in St Petersburg was as good as it got, despite Rahal running on the fringes of the leading pack in several other races, meaning his run of three seasons in a row with at least one win came to an end. Rahal Letterman Lanigan Racing's slow understanding of the new car didn't help, which means Rahal's tally of top 10 finishes in 2018 - only Dixon had more - amounts to a pretty decent campaign on his part. Picking the fringes of this top 10 is a tricky task, but SPM driver Hinchcliffe makes the list for the way he overcame the embarrassment of this year's Indianapolis 500. 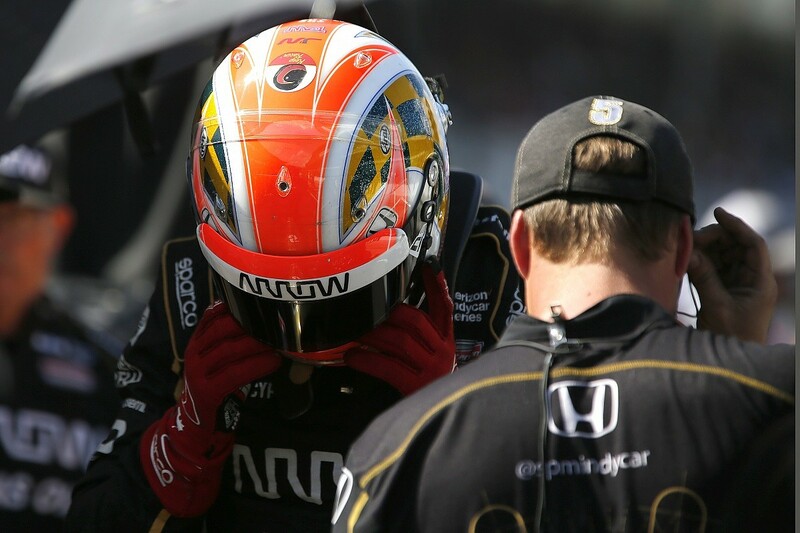 Getting bumped from the race was inexcusable; a combination of SPM's bizarre strategy and a poor first and second run from Hinchcliffe left him on the sidelines. In a double-points race, that would prove hugely costly and team-mate Wickens's bright start to his IndyCar career raised questions over Hinchcliffe. But two months later he won at Iowa after driver and team built a core of staff that made Hinchcliffe more comfortable, following the departure of Leena Gade in the aftermath of the Indy debacle. Yes, that victory came in a bizarre finish, but Hinchcliffe laid the ground for it with a great pass on Newgarden for the lead and an opening stint in which he rose from 11th to fifth. Results following Iowa were not so impressive, bar fourth at his home race in Toronto (one of several podium near-misses), although the decline is understandable in the face of Wickens's later absence. As is always the case with Bourdais at Dale Coyne Racing, there's the 'what if' of how competitive he'd be in a leading IndyCar outfit after his Champ Car dominance. That's because of his flashes of brilliance, and two stood out in 2018. He had one of the best drives of the season - certainly of anyone outside of the top three teams - at Mid-Ohio, pulling overtake after overtake with astonishing pace to climb from last to sixth in a performance deserving of a win. 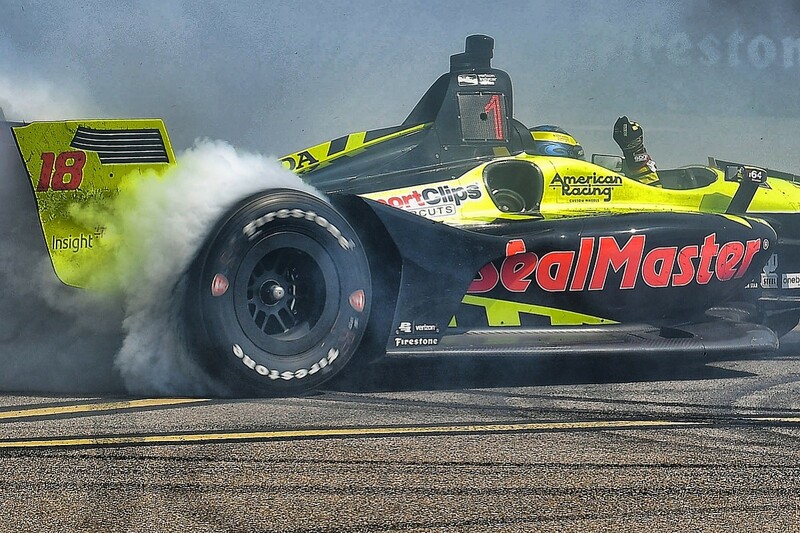 Instead, he did what the best outside of the big three teams do, grabbing an opportunistic victory, in St Petersburg - a street course Bourdais loves. 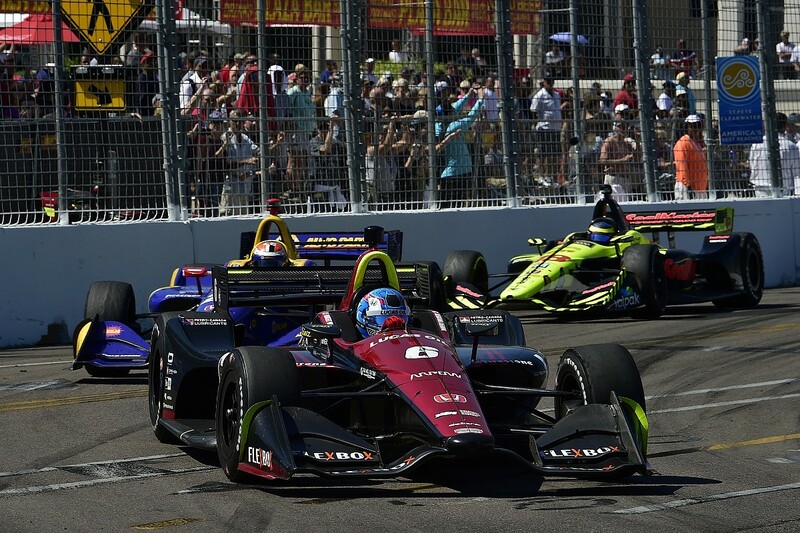 In St Pete he used a clever strategy to run behind Wickens and Rossi, then pounced when the two collided to win with the "seventh or eighth" best car. Ganassi 2019 rumours were tantalising, but always unlikely as he signed to remain with the DCR with Vasser-Sulllivan operation. It's feats such as Mid-Ohio and St Pete that make him one of the series' top talents - even more so when DCR makes ends meet with a rotation of well-backed drivers for Bourdais' team-mates. Hunter-Reay has been the undisputed team leader at Andretti, but there were signs there would be a changing of the guard as Rossi became the team's best hope of a title and Hunter-Reay continued to suffer a career slump. His 2015 win at Iowa looked as though it was covering over the cracks, although Andretti and Honda's struggles with the aerokit played a part in his drought. But two wins in the last 10 races of a season that began with his trademark ability to attract trouble went some way to reminding everyone what he is capable of. He outperformed Rossi in the tricky conditions at Barber and could have beaten Sato at Portland if not for a team miscommunication, since he had the fuel advantage. The fact that Schmidt Peterson Motorsports rookie Wickens features this high on the list is a measure of how impressive the DTM convert was. It is no exaggeration to say the only thing missing from his year was a maiden win, and he had two real chances of taking one. He can justifiably argue that he was robbed of a victory by an IndyCar officiating oddity in St Petersburg that changed the end procedure of a pace car period and left him vulnerable to Rossi on the restart - which led to the two colliding. His second victory chance came on the Indy road course, but his inexperience in fuel saving meant he was always unlikely to convert against Power and Dixon. But still, he comprehensively outperformed experienced team-mate Hinchcliffe in the first half of the season and scored two podium finishes. Wickens' shocking crash at Pocono was undoubtedly the worst moment of the season. Fingers crossed he recovers to return to the #6 car and remind IndyCar of what it's missing. 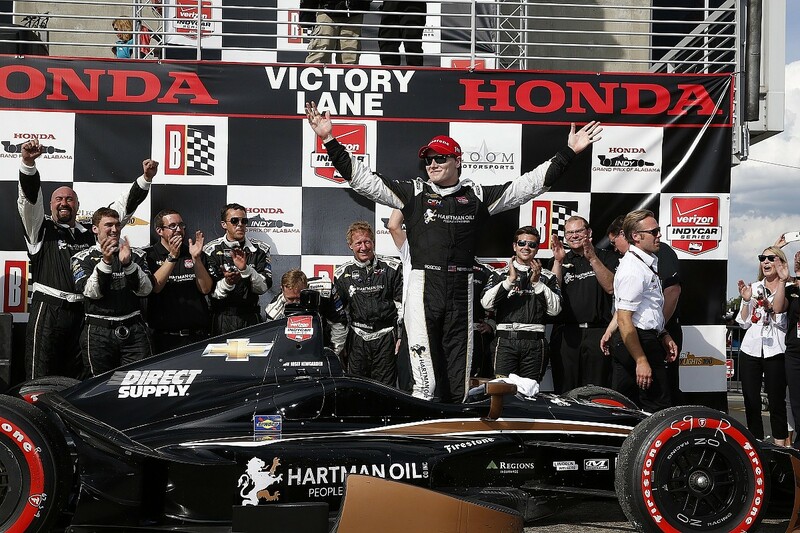 There was a spell in the season where it looked as though Newgarden would take back-to-back titles after a stunning performance at Barber. Surviving the treacherous wet conditions - something his team-mate Power failed to do - and creating such a big lead that strategy-based challenges from the likes of Dixon were rendered moot is as close to a perfect day as you can have in IndyCar. But he then followed it up with a costly spin and stall on the Indianapolis road course trying to pass Bourdais, and further mistakes such as a pitlane speeding penalty at Texas while struggling to save tyres were enough to make him an outside challenger at best. Newgarden's recent Indy 500 weakness is something that needs to be rectified, considering the double-points aspect. 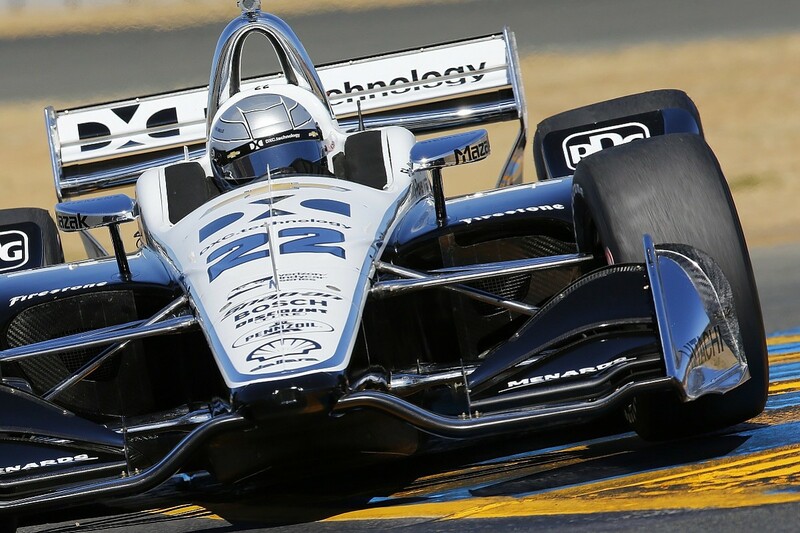 One thing is certain, Newgarden is in elite company when it comes to his capacity to make an IndyCar race "boring", by virtue of dominating every aspect to lift him out of the reach of rivals or cautions. 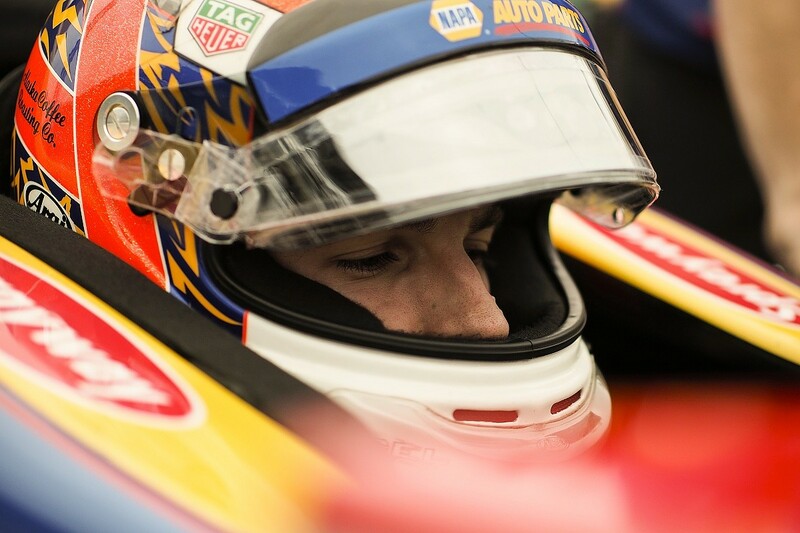 His drives at Road America - leading all but one lap - and Barber were two of the best IndyCar performances this year. Winning the Indianapolis 500 is the main driver for Power's placing, but it would be foolish not to consider the string of problems that prevented him making the IndyCar title race a true three-way battle. Victory at the Brickyard was notable not just for his first Indy 500 win, but also for Power's development as a driver. Once holding a firm dislike of oval racing, he could now happily race on one every week - and win his fair share of them. Power's one-lap pace has never been in doubt - his four poles this year, the most of any driver in the field, shows that - but again the problems were on Sunday. One of his highlights was his victory at Gateway, where he prevailed despite Penske's struggles with fuel mileage and in the face of title rivals Dixon, Newgarden and Rossi as threats at various parts. His excellent fuel saving meant that even a final caution could not prevent a straightforward win. That's the sort of thing titles are built on, but he began the series with several self-inflicted mistakes - as he said himself - and had far too many mechanical problems such as his gearbox problem at Portland and his engine failure at Road America. It did not take long for Rossi's rivals to earmark him for a title bid, and Power's assertion in Long Beach that anyone wanting to be championship winner must beat Rossi to it proved spot on. Rossi will rightly refute claims that this year was his breakthrough. He felt a restructuring at Andretti in 2017 ahead of the new aerokit's introduction meant he was primed to carry strong form into a likely resurgence for his team. Off the track, he went from being regarded as a driver who saw IndyCar as a stopgap between Formula 1 seats to a driver deeply respected to the point that Dixon labelled him the future of IndyCar. Two factors stood out in Rossi's emergence. The first was a remarkable balance of aggression and timing to cut his way through opposition. At Phoenix, where it's tricky to pass, he made 52 overtakes. That can be a misleading stat, suggesting he was making more work for himself. But it was usually allied with an excellent strategy to match his pace. He was able to play the strategic game more often and consistently better than his rivals. There were a few flaws that proved costly. His inability to think of the bigger picture when he locked up down the escape road in Detroit during a failed pass was one error, as was unnecessary wheel-banging at Road America ahead of a camber shim problem. That's enough for someone like Dixon to steal ahead. If any race could sum up Dixon's season as a whole, it was the Indianapolis road course in early May. An absolute disaster of a qualifying session had thrown the title contender a starting spot of 18th, and the driver and team were at a loss to explain why. So they sat down and pored over data through the night to begin a remarkable turnaround that ended with him narrowly missing out on the win to Power. Ganassi and Dixon's only real failing - more on the team's side - was bringing him into a closed pitlane in Long Beach, which dropped Dixon to 11th. It's that remarkable consistency that makes Dixon an automatic title threat every year. Title deciding moments fell the right way for Dixon too, and he made sure he grasped them. He took advantage of his rivals crashing in Toronto to take a hugely important win and was unscathed in a scary pile-up at Portland, recovering to finish fifth from the back of the field. Dixon is understated, there's always a feeling that his wins could be more commanding or flamboyant, but he plays the percentage game perfectly. Drawing together the final few pieces of the top 10 proved tricky because of the number of drivers who perhaps lacked consistency, but were able to show glimpses of potential. 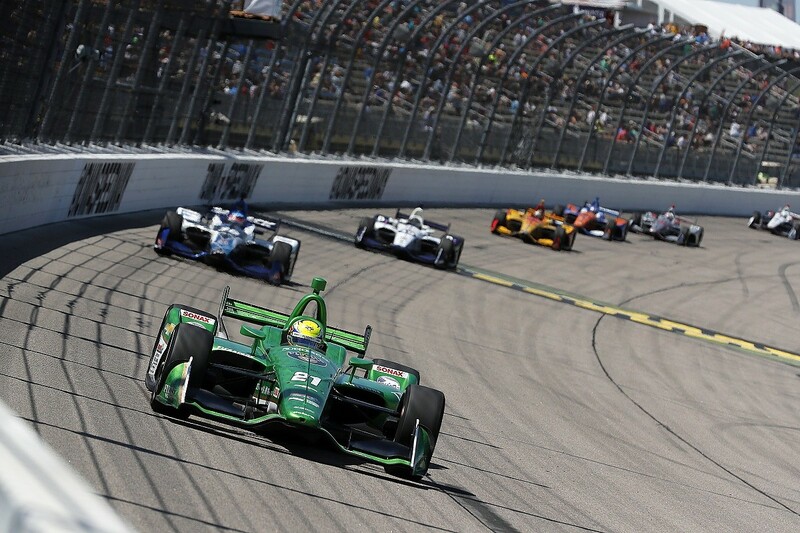 Spencer Pigot rewarded Ed Carpenter Racing's faith in his first full-season by taking his best-ever finishes on road, street and oval courses, and second at Iowa was comfortably his best drive of his season. His team boss Ed Carpenter was superb in the Month of May, creating a team that could cope with him returning to the wheel and sealing pole for the race and a second-place finish behind winner Power. 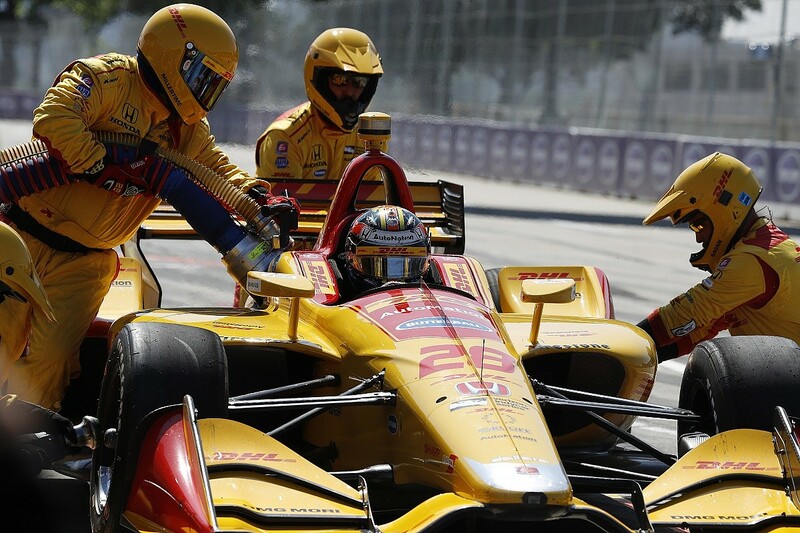 As part of an improved Andretti outfit across the board, Marco Andretti managed to break his barren pole run in Detroit and came close to podium finishes several times - a strategic error in Toronto ruined a definite rostrum place. And expect to hear more from the new-look Harding Racing next year. 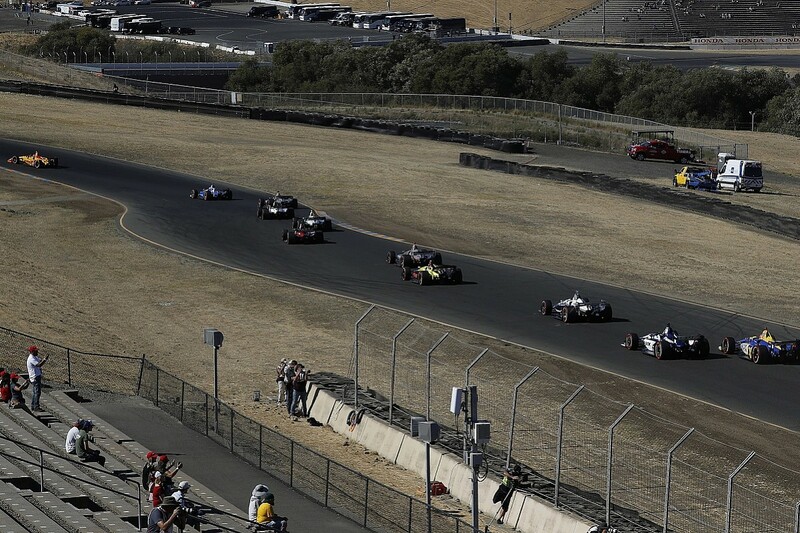 Patricio O'Ward's phenomenal debut weekend at Sonoma - making the Fast Six and finishing ninth - was enough to earn huge praise from the likes of Dixon and Power. With Andretti backing for that team, there's even more reason to keep an eye on the next stage of IndyCar's new generation - which is still headed up by Newgarden and Rossi. Age and the emergence of new youthful contenders may well be the only threat to Dixon's IndyCar stardom.